As I type this there are just over 13 hours left in RPGNow's Black Friday / Cyber Monday Sale. 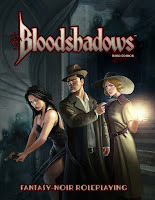 If you have stuff on your virtual wishlist, it is now or never. 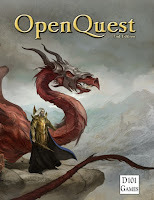 OpenQuest 2 Deluxe - $12.75 - Built of the OGL of Mongoose RQ (later Legends) this seems very reminiscent of Chaosium RQ2 if you ask me, and that's a good thing. OpenQuest 2 Basic Edition - Free - try before you buy, this is a stripped down but fully playable version of the above. Numenera - $16.99 - might actually be playable if you have someone clean up the watermarking for you. Starships & Spacemen 2e - $5.48 - Star Trek Classic Series w/o the serial numbers.